The FlexStream MX-400ST provides Stadium & Arena TV Management solutions which, complement existing in-house cable TV networks by merging HTML graphics with stadium video to create dynamic multimedia HDTV channels tunable by one or all stadium TVs. Stadiums TVs are quickly transformed from video monitors to dynamic multimedia displays containing game video, advertisements, game stats, time, temperature, raffle info, weather, traffic, social media photos, stadium alerts, and of course the game score and other score board information. 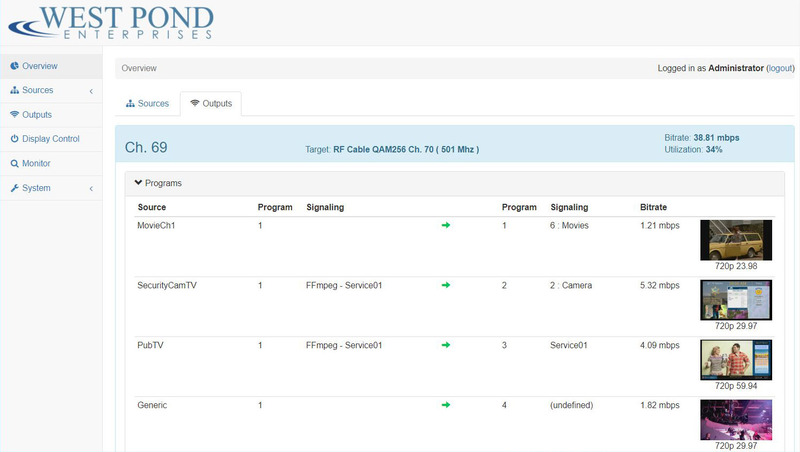 Create additional channels for specialized TVs that are used for concession stand menu boards, crowd routing, welcome messages, game information, emergency and informational alerts, and digital signage. This is all possible with one MX-400ST and without the added costs of set top boxes, cat 5 wiring, or changes to the house cable TV coax network. The FlexStream MX-400ST system can pay for itself with just a few events. The advertising features of the MX-400ST, combined with the low cost installation and quick start HTML presentation templates, provide a turnkey revenue generating solution. There’s no need to learn a new content management and editing tool, our system is based upon standard web HTML. If your staff is not familiar with web technology, use our built in templates to get your pages working quickly or contact the West Pond creative services team to create the perfect presentation for your stadium or arena. If display controls are important, add the West Pond RX units to the stadium TVs and the MX-400ST will manage each TVs display state, enable display specific alerts, choose the channel, and control the TV power. Add two or more media rich HD channels to your stadium channel lineup. 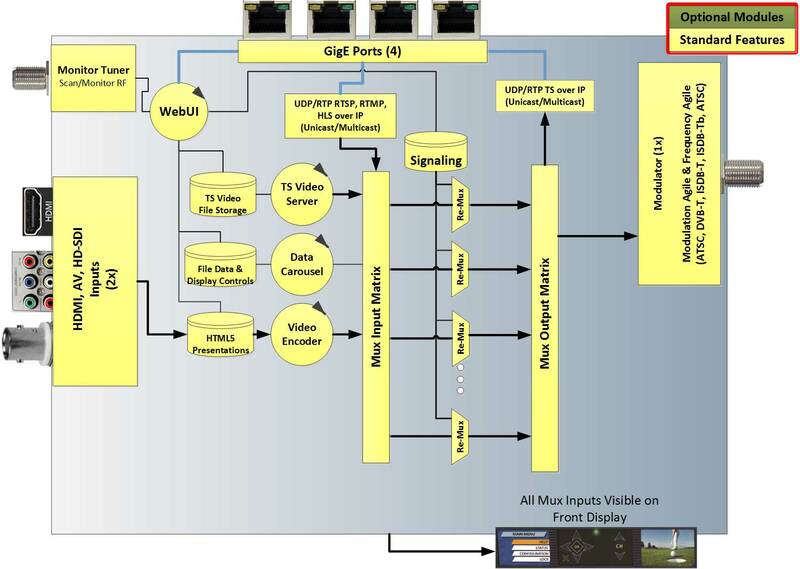 Utilize stadium video feeds from cable TV (clear QAM)*, HD-SDI cameras, HDMI*, component*, composite*, IP, and more. Interconnects with the stadium score board to display score data on TVs. Enrich video with HTML5 graphics to create a state of the art media experience on each TV. Create channels for game video and stats, concession stand menus, welcome signs, navigation, and more. Use FlexDM to manage West Pond devices from anywhere on any device. Everything you can do with the MX-400ST web UI, can be done remotely via FlexDM. The MX-400ST installs quickly, uses the existing TV coax wiring, and is ready for IPTV when necessary. Unlike most stadium solutions, the FlexStream solution does not require a media box behind each display. This solution can pay for itself in less than a year. Fans, sponsors, and concession vendors all benefit from a good signage system. The MX-400ST has be configured to perform the functionality of the following traditional headend components.